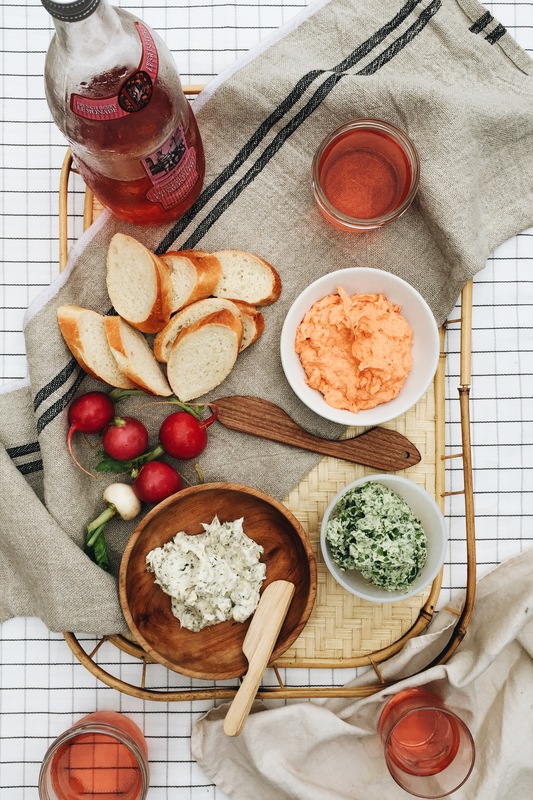 You do know that butter is the universal summer staple food, right? Don’t try and look it up because I think the internet is down right now. And books don’t work today. And your friends won’t know this week. Just trust me. These may be my three favorite compound butters of all time! Well, actually two are, and the third I experimented with and decided it’s my new all-time favorite. I think. They’re all so delicious. And so different! They’re all my favorites. I can’t decide. Wait, did you ask me something? Making compound butter is so stupid easy, you have zero excuses for not whipping some up yesterday. The three I’m featuring today are all SO basic, but slightly vary in the preparation methods. For instance, this first one: Roasted shallot and dill! Are you kidding? My new all-time favorite. Hands down. Except the other two are, too. I still can’t decide. 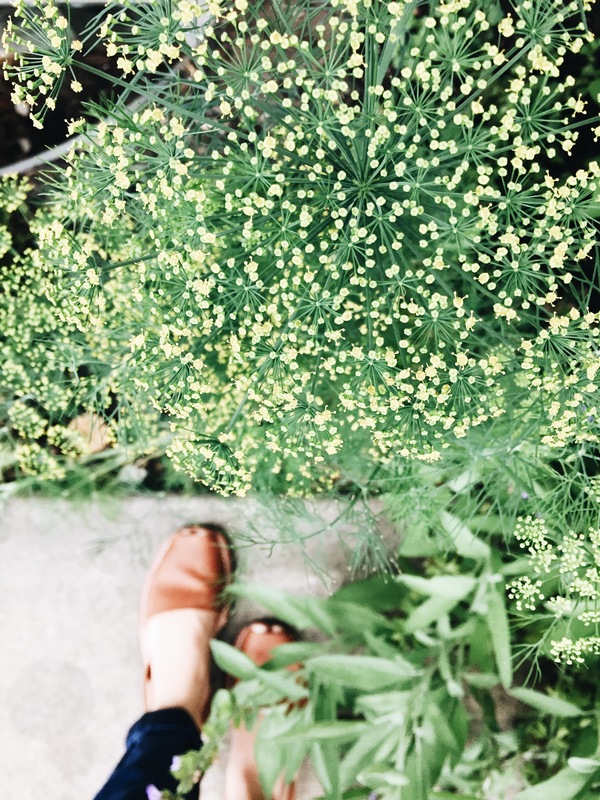 Anyway, our dill is OOC in the garden right now, so obviously it quickly became a co-star in this flavored beaut. Add some simple roasted shallots, a kiss of lemon zest and boom. Major stuff, you guys. 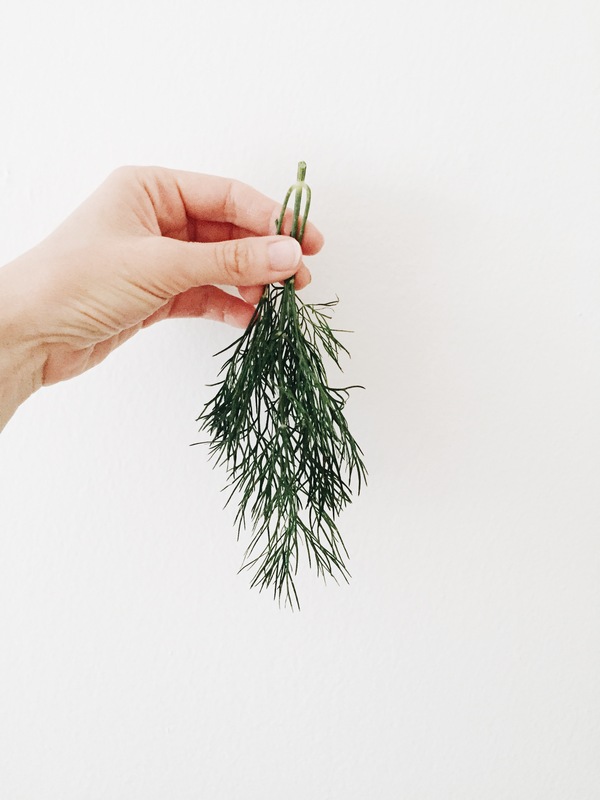 Just a handful of dill will do. 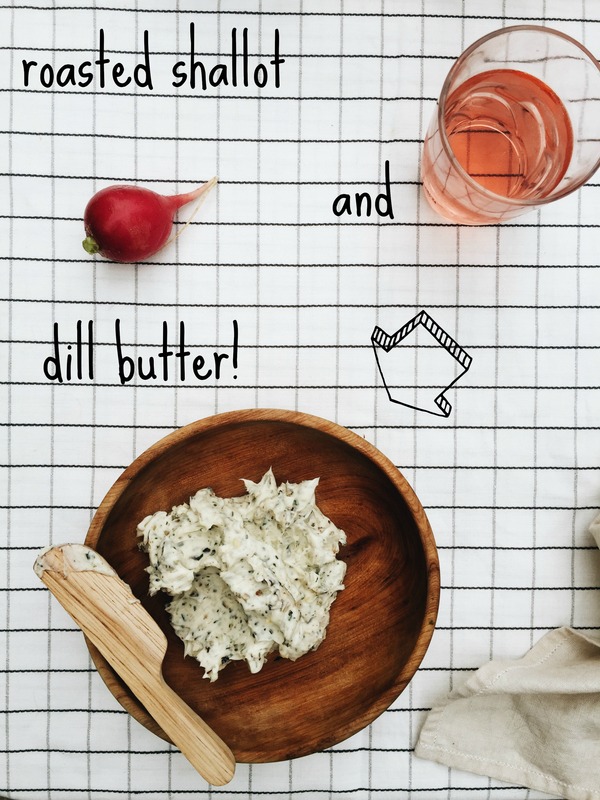 Dill will! Ha. Preheat oven to 400. Place one thinly sliced shallot on a roasting pan, drizzle with a teeny bit of olive oil, a sprinkling of coarse salt, and roast for 15-20 minutes. Place the roasted shallots on a cutting board and finely mince. Then finely chop up that dill, making about 2 tsp., along with a tsp of lemon zest. Add everything to a stick of softened butter, along with one more tiny pinch of salt. Mix well! Done. Next up! 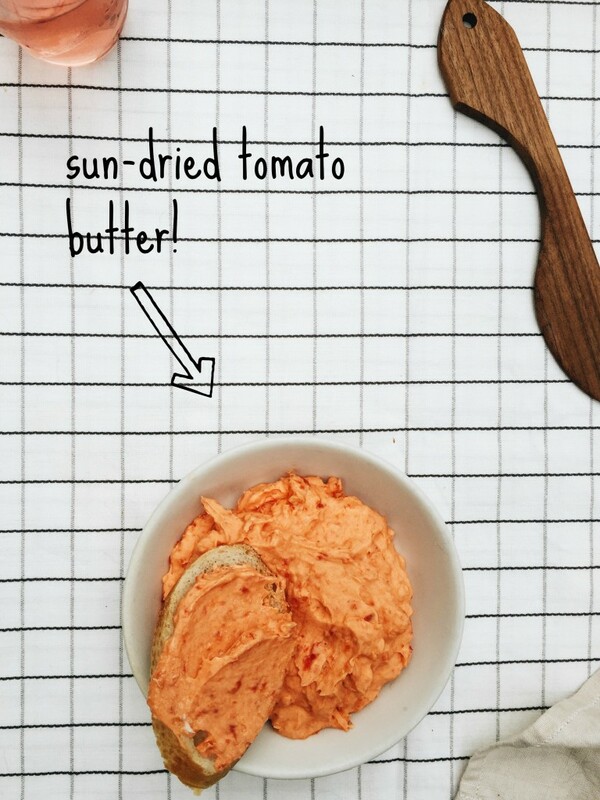 Sun-dried tomato butter. My ALL-time favorite butter. Well, along with the one I just mentioned and the one we’ll talk about in a sec. They’re all so good. I can’t decide. 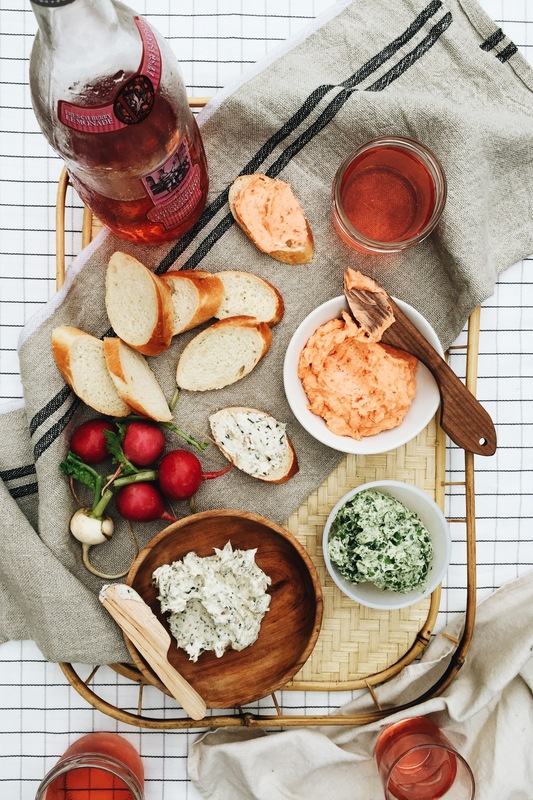 The first time I had sun-dried tomato butter, it was about 8 years ago in a restaurant and I fainted at the table. They had to transport me via helicopter to the nearest ER, where I gently passed on and continue to lay at rest in my current home, inhaling more sun-dried tomato butter. It was THAT insane. It’s my all-time favorite. I think. 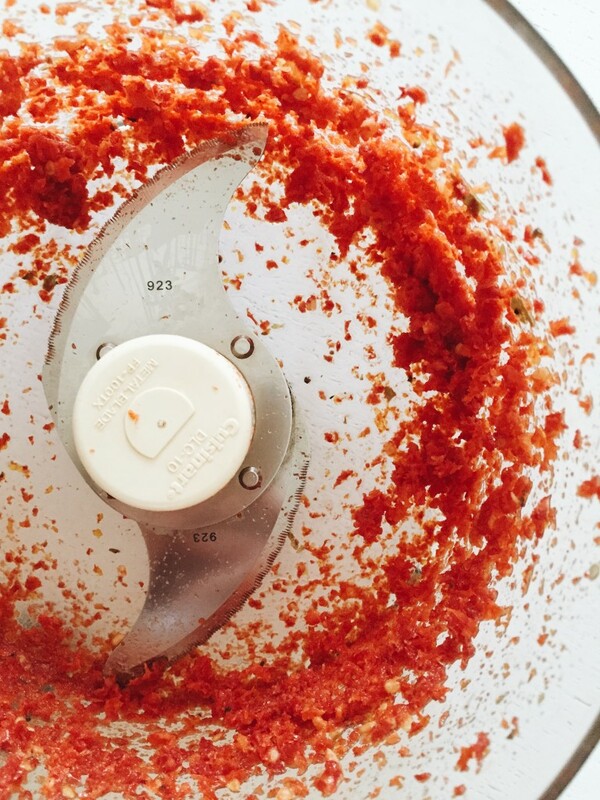 Take six jarred sun-dried tomatoes (in their oil) and place them in a food processor. Pulse that ish until it’s as smooth as you can get it. Add a stick of softened butter and a pinch of salt to the processor and blend until combined and smooth! Bam. Done. And lastly: Cilantro, jalapeño and lime butter. GOOD GRIEF. Seriously my all-time favorite. Hands down. It’s the winner! I think. I dunno, the first two I just mentioned are just so delicious! I can’t decide. Jalapeños are taking over out back as well, so I snipped a couple of smallish ones for this baby. I also seeded most of the peppers, just because. But leave in as much as you want if you love the heat! This butter requires no oven, no processor, just a little elbow grease! Not much though. Like a teaspoon. And I’m grossed out. Seed and mince two small jalapeño peppers. Or one regular size. Finely chop about a cup of cilantro, yielding about 2 Tbs. 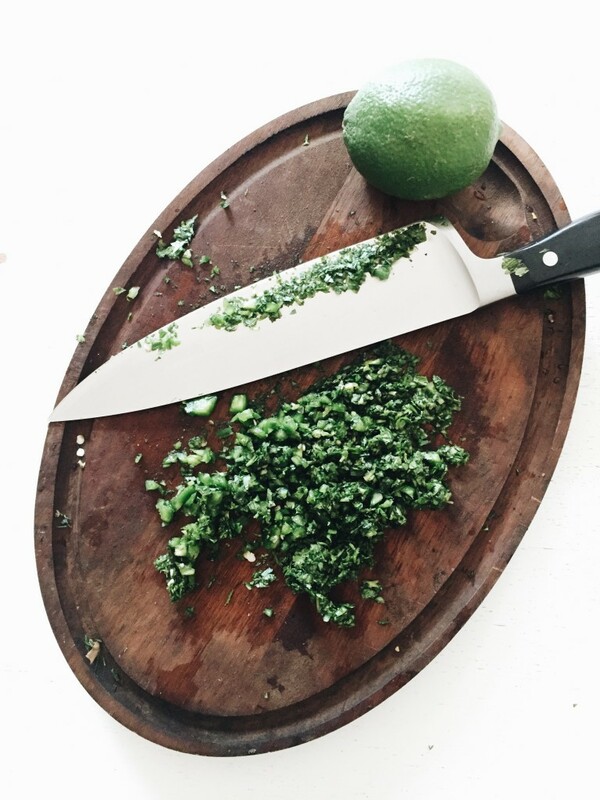 Add it to a small mixing bowl with one stick of softened butter, and a tsp of lime zest and a tsp of lime juice. Mix well! Biggidy. Done. And there you have it! My three ALL-TIME FAVORITE compound butters. I think. Actually, I bet honey and lavender would be ridiculously wonderful. Or orange zest and minced ginger? Oh wow. That might be my favorite. Or wait wait, what about roasted garlic and lemon? Oh man. That’s definitely my favorite! I think. 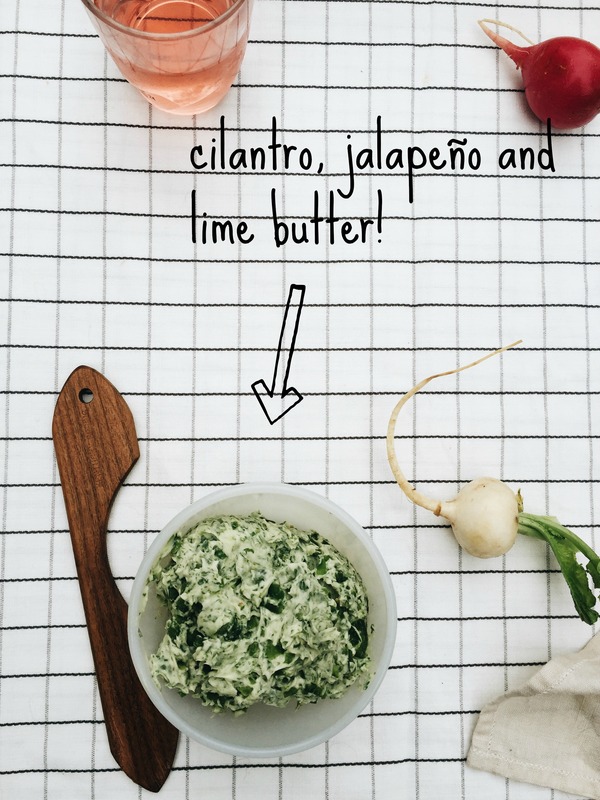 9 Responses to Compound Butter: Three Ways! Yummalicious! Personally, I'd go for the tomato one first, but they all sound divine! I want all the butter! And bread. And wine.